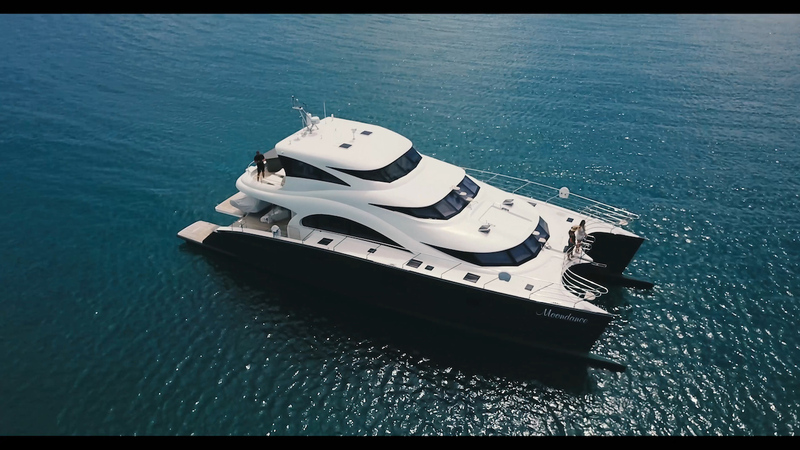 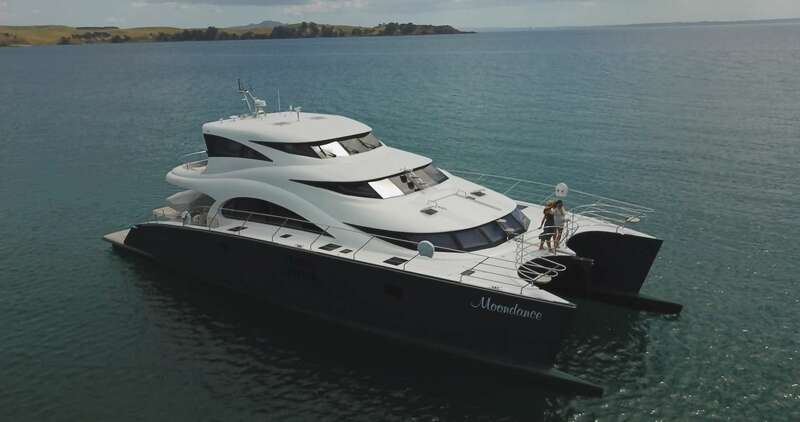 MOONDANCE is a luxury catamaran motor yacht, measuring 22.07 metres (72' 5”), constructed by the renowned Polish yacht builder Sunreef with a launch in 2017. 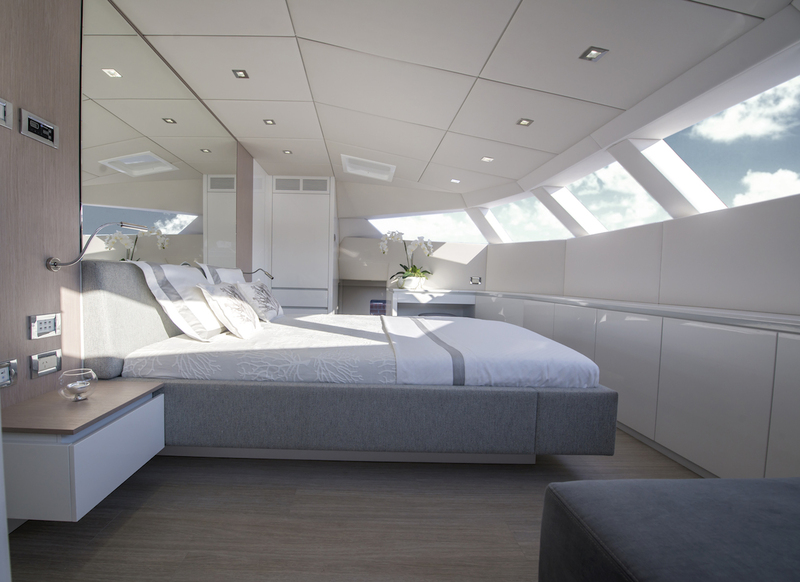 The yacht is able to accommodate up to six charter guests over three cabins and has a crew of three on board. 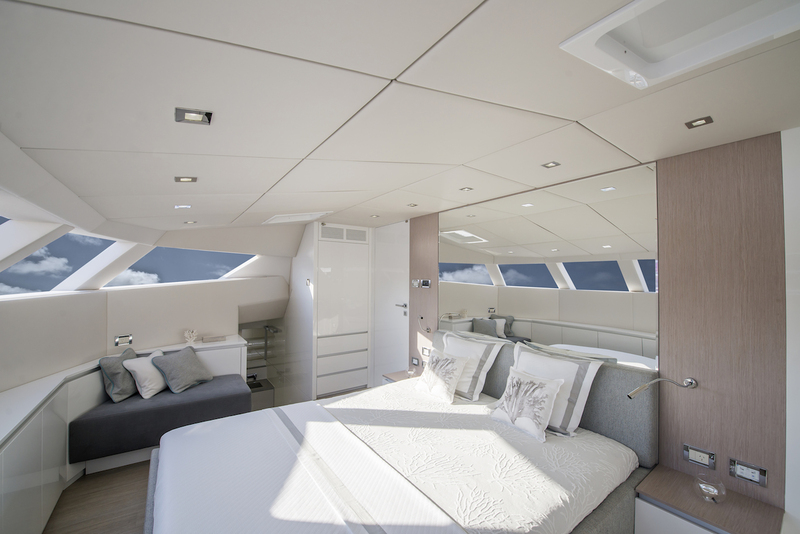 The main deck aft has an alfresco dining table with seating for up to eight guests, and behind the hydraulic platform provides easy access to the sea for guests as well as for storing the tender. 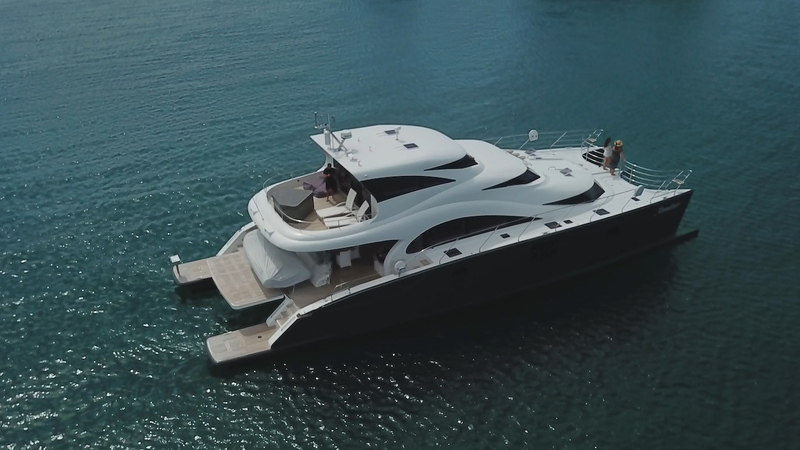 Guests can take in the views from the foredeck or head to the flybridge, where the forward section is enclosed and the aft section has casual seating for small groups to lounge out in the sunshine. 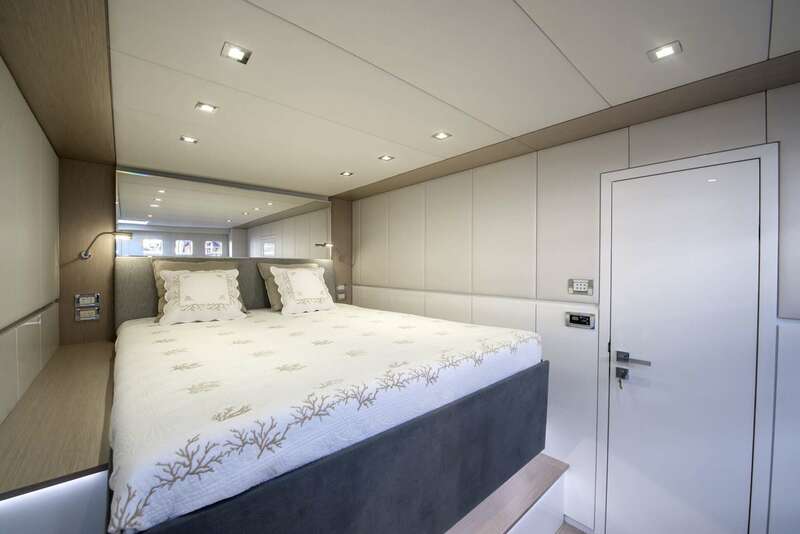 The lower deck contains a Master suite and two double cabins that all have en-suite facilities, plus a storage room in the port aft hull and crew accommodation in the forward port hull. 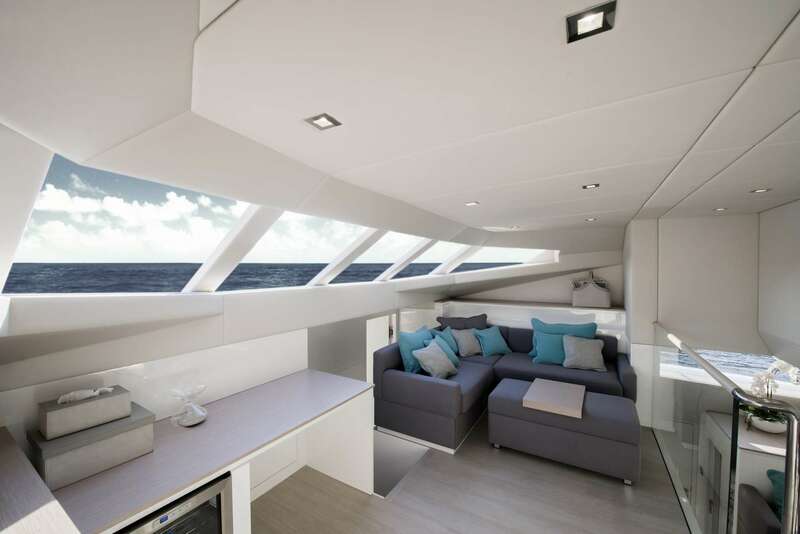 On the main deck, the helm station is located forward to port on a raised level and to starboard a C-shaped sofa and drinks table for relaxation in the sunshine. 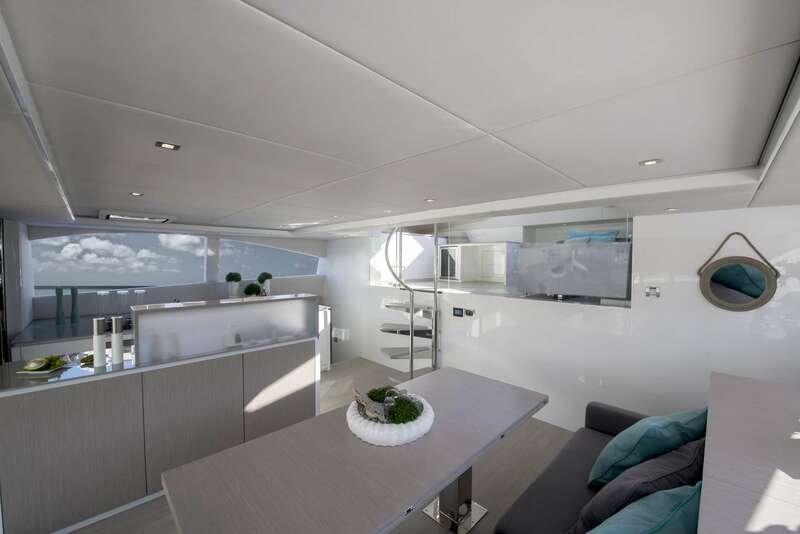 The lower section is fitted with a port galley and opposite a large L-shaped sofa with a raised table for dining in air-conditioned surroundings while still enjoying the beautiful views. 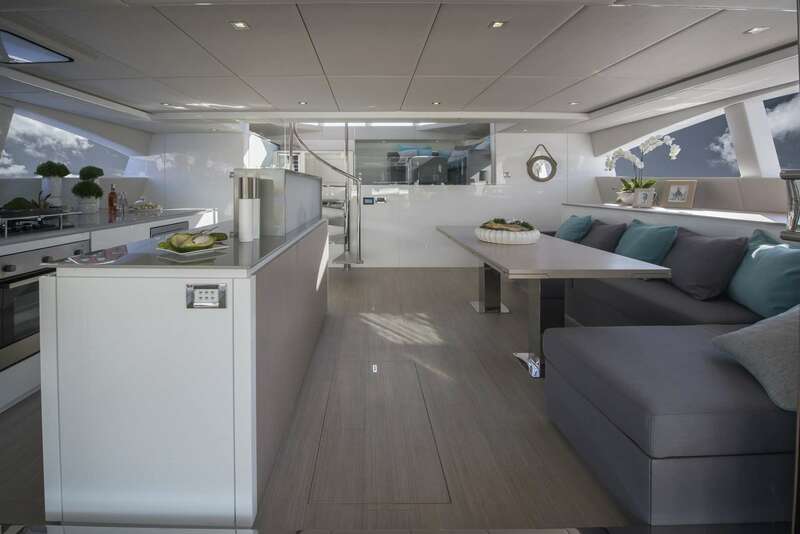 A staircase connects from the lounge up to the forward enclosed section of the flybridge and behind the helm station, there is an L-shaped sofa and additional seating around the elevated table for dining or relaxing with pastimes. 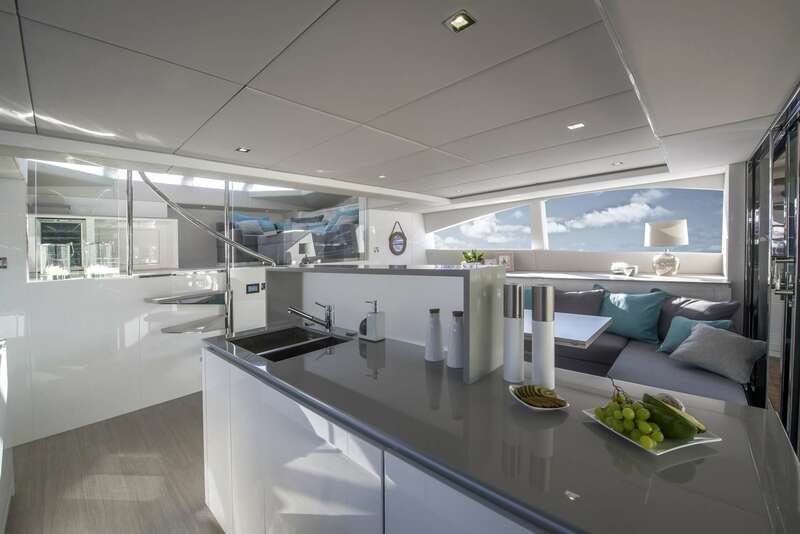 Opposite, the wet bar will keep guests refreshed after sunbathing on the aft deck. 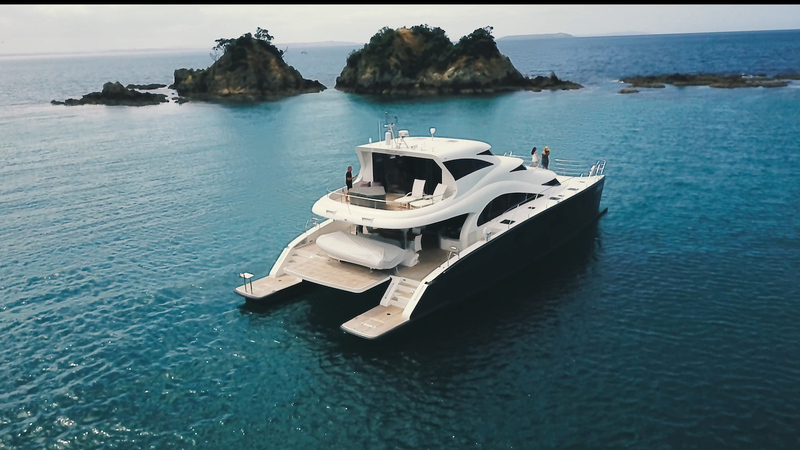 A pair of John Deere 500 HP engines produce a cruising speed of 10 knots and a top speed of 23 knots. 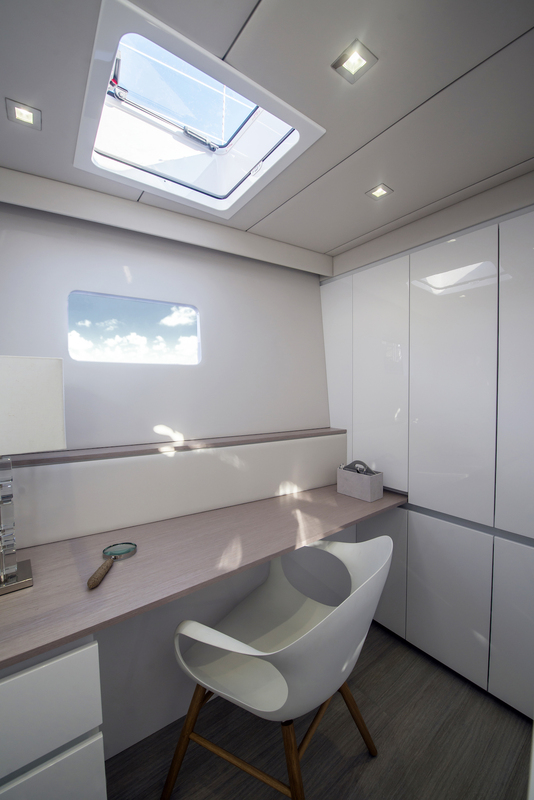 Accommodation includes three spacious and bright cabins with a double configuration, sleeping up to six guests on board.